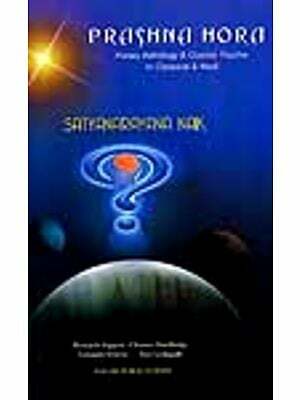 After the publication of our book "Ashtakavarga" in 1957, I thought to make deep study in Nadi Astrology. With this idea in mind, I placed orders with various libraries, such as G.O.M.L. 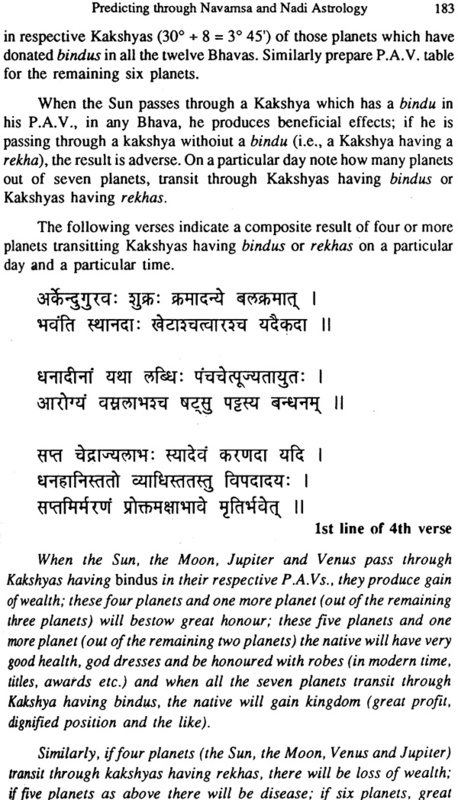 Adyar; (Madras); Mysore and Tanjore, and collected some manuscripts transcribed into Devanagari from their local languages. 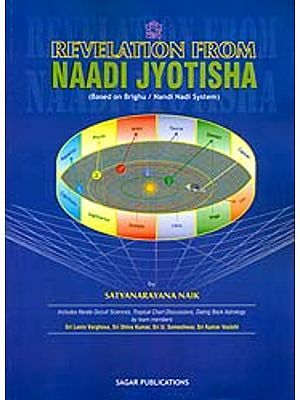 The Nadi Jyotisha is a unique system of astrology. 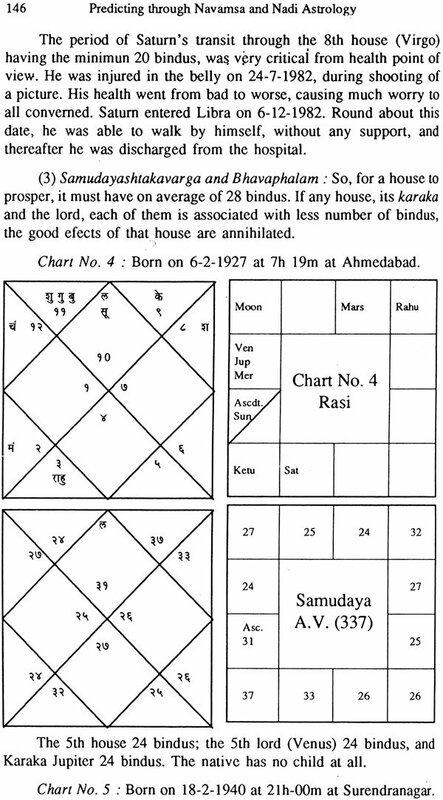 The Nadi Granthas (book) on this system contain readymade horoscopes giving out the whole life-reading with important events in life of the native, as well as his parents, wife etc. 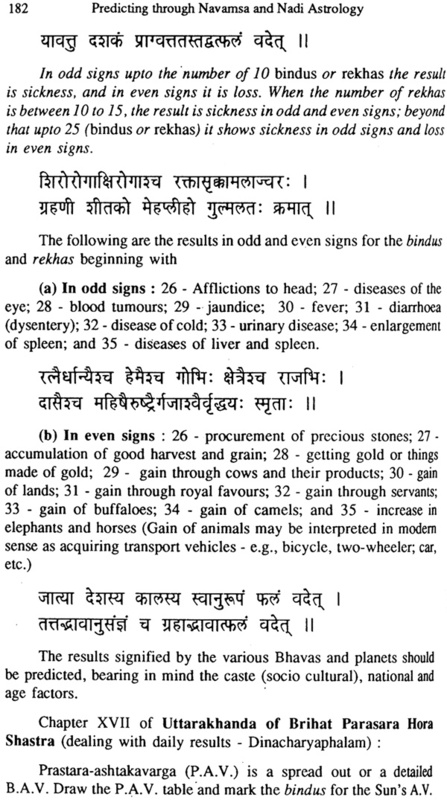 and also information about the previous and future births and other matters. 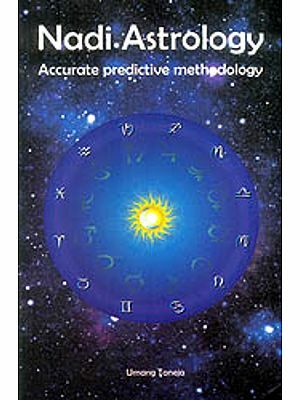 Some such books contain certain techniques; usable in predictive astrology which can be rarely found from other sources. The above manuscripts were collected by 1960. In continuous studies, notes were prepared on important topics from 1960 to 1982. In 1983, I came in contact with Shri K. Aswathappa of Madras (in Ahmedabad), who invited me to deliver lecture on Ashtakavarga in Madras in December 1983. After completing lecture tour of Madras, I returned to Bombay, thereafter contact with late Shri V.A.K. Aiyar (The great veteran) was established through a common friend of Madras. At times discussions on some of my researches, on important techniques were carried on. 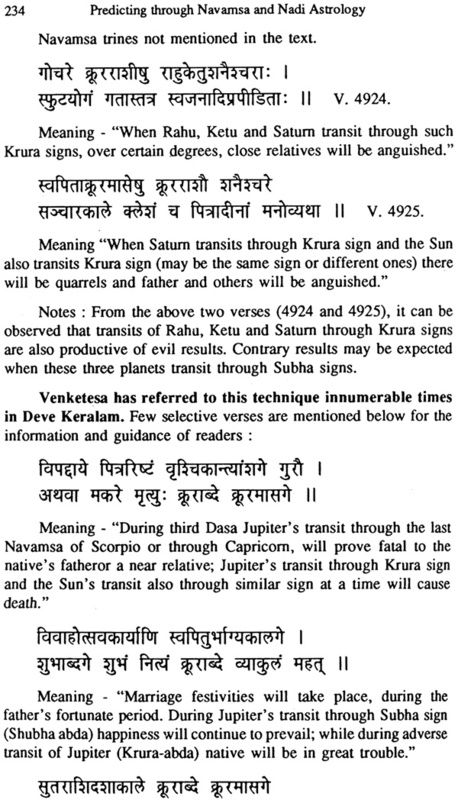 In course of time Shri Aiyar suggested to put my researches in writing and publish them in the Astrological Magazine (Bangalore) edited by Dr. B.V. Raman. My first contribution was "Yoga-bhangas or Cancellation of Yogas". (Feb. 1984). This resulted in a series of articles totaling about eighteen till date. Thereafter, I became a regular contributor of this magazine. In course of time, Shri R. Santhanam (New Delhi) started a new magazine. 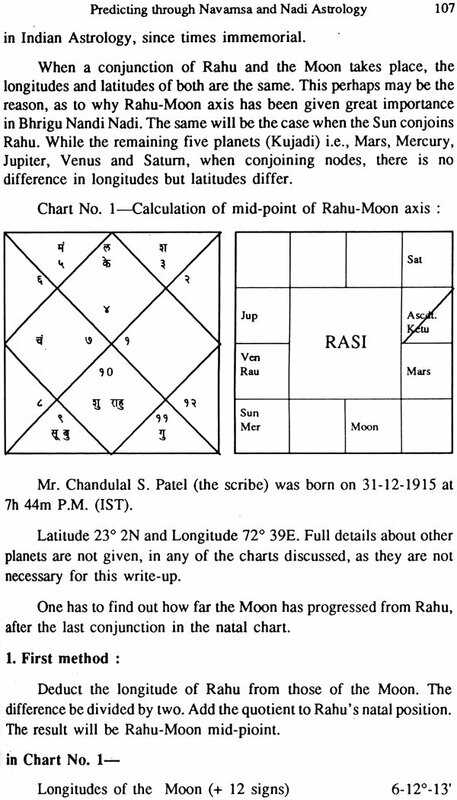 "The Times of Astrology" from November 1985. 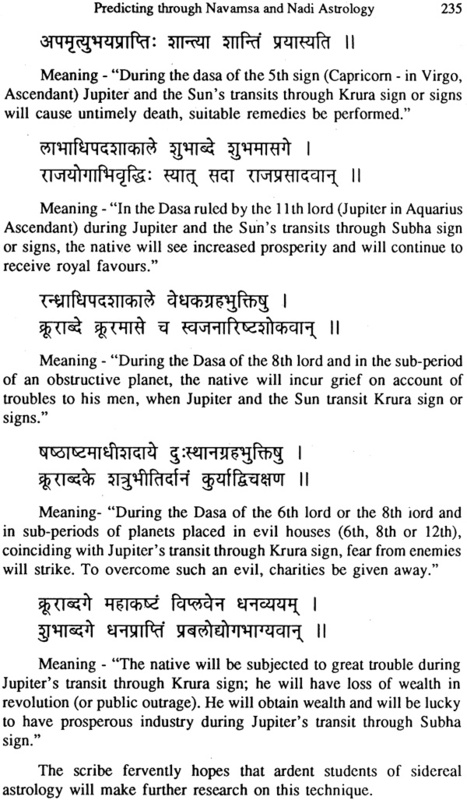 He used to request, once is every six months to contribute articles to the "Time of Astrology". 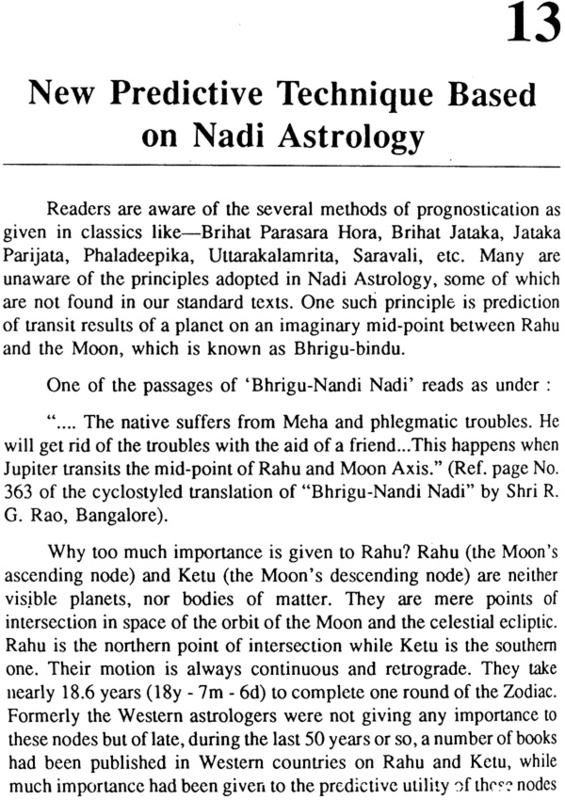 The first article for publication, was "New predictive Technique based on Nadi Astrology" (in September 1987). Thereafter about twelve articles have been published, in this magazine so far. 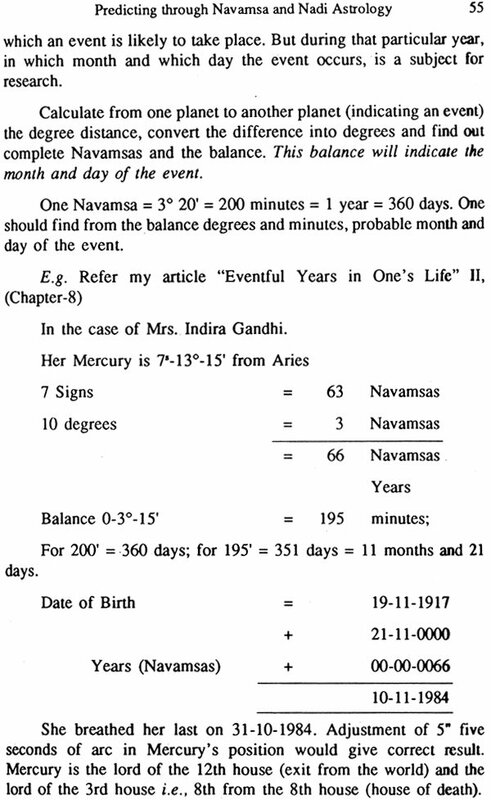 In addition to the above many more techniques judiciously culled out from Nadi Granthas have been explained in various chapters. This collection contains many principles not known to many so far (till their publication). Some of my friends who were deeply impressed by these articles, requested me to compile and publish them all, in a book form of the benefit of posterity. Meanwhile, a common friend, late Shri N.M. Sethia (Baroda) contacted Shri Narinder Sagar (New Delhi), and talked to him and showed a set of zeros copies of all my articles, who willingly agreed to publish them in the book-form. A friend Mr. Vladimir Tanchuk, a Russian by birth and a citizen of America, who saw me thrice in Mumbai, wrote on 1-7-1938 from "New York." That coordination of Nadi, Ashtakavarga and Navamsa techniques are really superb, in all your articles. I deeply respect your research, I would say-Meta Astrology." Another gentlemen, Mr. Tommy Larsen from Copen-hegen (Denmark) came to meet me on 27-4-1993, at my residence and requested me to clarify certain points in the articles published in the Astrological Magazine. He came with a bunch of zeros copies of all my sixteen articles published so far, which surprised me, that learned scholars in far-off distant countries study my articles' so deligently and meticulously. Another friend from Patna writes  "Mr. C.S. 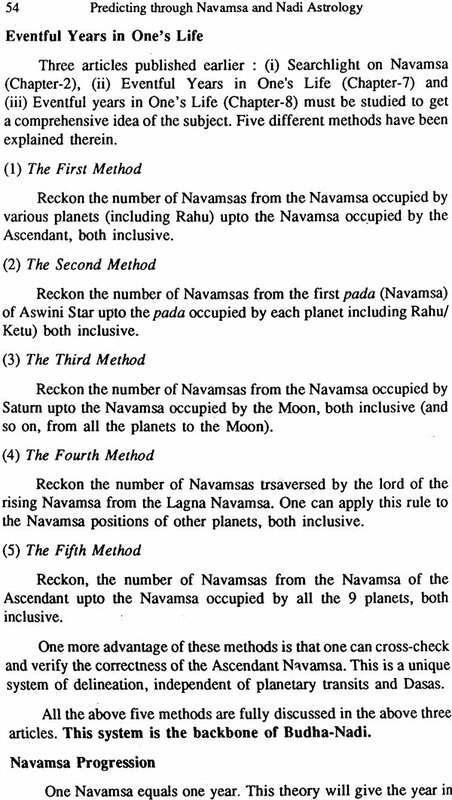 Patel has made a very extensive and intensive study of Navamsa and all his articles are of immense practical utility." 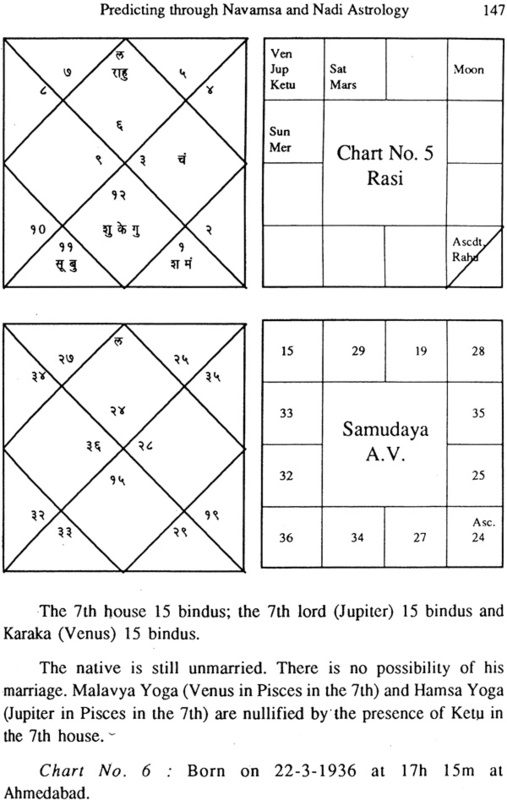 The author, not being a practising astrologer and not equipped with a variety of horoscopes has very often given his own chart as an example to explain certain intricacies of many research principles, deserves to be pardoned by readers, for boring them with the same chart, again and again. 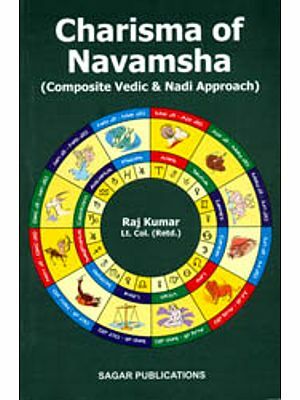 It will be observed, how wonderfully use of Rasi-tulya Navamsa/Navamsa-tulya Rasi and many other techniques regarding Navamsa is made in Nadi Granthas. 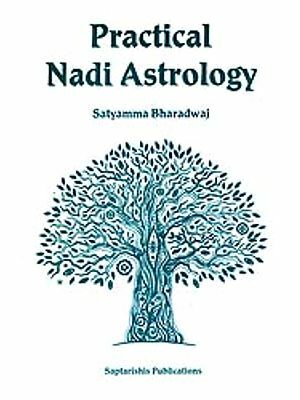 The monograph of the book - "Predicting through Navamsa and Nadi Astrology" is just adequate. An independent book on principles, use and various techniques of Navamsa is being written and it is hoped to follow shortly probably by December 1996. I heartily appreciate the interest shown by Shri Narinder Sagar, in bringing out this book attractively on good paper together with all charts in North Indian style alongwith South Indian one, for the benefit of readers. I wish to express my gratitude to (1) Shri N.M. Sethia for contacting the publisher and arranging the publication and (2) Shri Hari Prasad S. Bhatt., for unsolicited help in getting all the thirty two articles zeroxed and similar other jobs. I shall consider my labour amply rewarded if this work proves helpful in enabling students and practitioners to make predictions with greater confidence greater success than otherwise.